Timbers can be produced as boxed heart or free of heart or as surface clear. 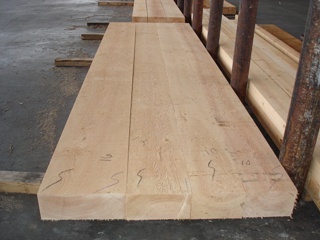 Some timbers have restrictions on surfacing and wane beyond the grade rule where they are to be used in highly visible applications (referred to as ‘appearance’). It is possible to make a 54”x54” 60 ft solid beam. 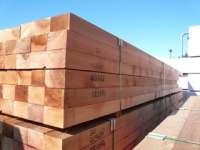 Timbers can be made for temple makers, timber frame construction, or industrial applications.